Saint Mary (Jèrriais: Sainte Mathie) is one of the twelve parishes of Jersey in the Channel Islands. It is situated in the north west and covers an area of 3,604 vergées (6.5 km²). It borders four other parishes: Saint Ouen, Saint John, Saint Peter and Saint Lawrence. 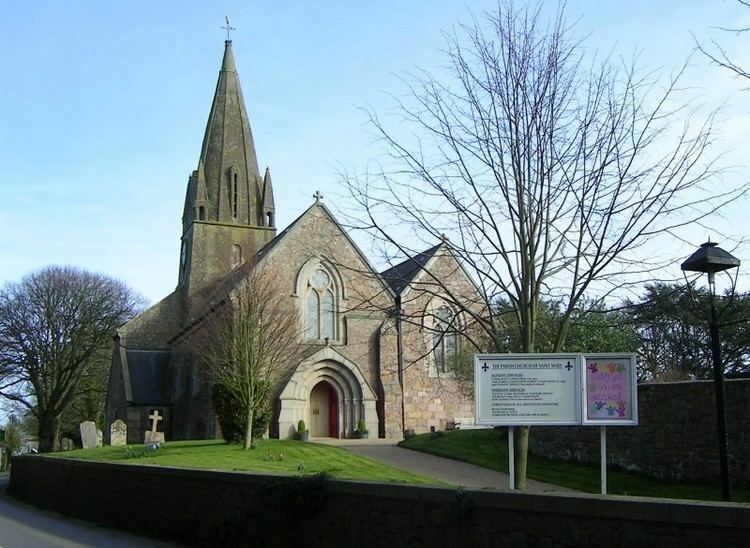 The parish and its eponymous church derive their name from a medieval monastery, probably destroyed during Viking raids some time between the 8th and 10th centuries. In 1042 Duke William gave "Saint Mary of the Burnt Monastery" to the abbey of Cerisy. Among the natural attractions of the parish is a feature known as the Devil's Hole (Lé Creux du Vis), a blowhole in the cliffs of the coast. The descent from the car park to the Devil's Hole is a popular tourist attraction, with the walk taking approximately ten minutes. The upper part of the path is surfaced, and the lower part, once quite dangerous in parts, now has wooden steps and handrails, with much of the access having been improved by a working party from the Royal Engineers Corps of the British Army. In Victorian times it was possible to descend into the hole itself at low tide, but this is no longer possible. However, the access path ends at a large specially constructed viewing platform. Following a shipwreck in 1851, when the ship's figurehead washed up in the Devil's Hole, a statue of a devil adapted from the figurehead was set up above the Hole. This wooden statue was replaced by a succession of modern versions in the 20th century. Mourier Valley runs down the boundary between Saint Mary and Saint John. The stream formerly powered a number of mills despite the scant population of the area. Crabbé is the location for pistol shooting. La Grève de Lecq lies on the border between Saint Mary and Saint Ouen. On the east side of the bay, in Saint Mary, lies Le Castel de Lecq, a mediaeval earthwork. In the bay Le Moulin de Lecq, an old watermill, was converted into a residence in 1929 and following the Second World War became a pub, while retaining the wheel and remnants of the gears. The parish stands upon coarse-grained granite, 'of Saint Mary's type', which formed during the lower Palaeozoic period. This granite was formerly quarried for building. Saint Mary is twinned with Longues-sur-Mer, a commune of the département of Calvados, in the Normandy région of France. The parish forms one electoral district and elects one Deputy. St. Mary has the smallest population of all the parishes in Jersey, having only 1,591 residents in 2001.